Dr. Godwin sees many patients who are frustrated by persistent areas of fat that will not budge despite an active lifestyle and healthy eating habits. Sometimes, ridding yourself of localized excess fat can not be accomplished by diet and exercise alone. For example, some women have a genetic predisposition to holding onto fat in their outer thighs; no matter how much they diet and exercise the stubborn fat remains. These areas of resistant fat can be found almost anywhere on the body, including the hips, thighs, buttocks, belly, love-handles, back, upper arms, and chin area. Dr. Godwin understands how this can negatively affect your self-esteem. He wants to help you create a look that makes you feel confident and beautiful. If you can relate to this, top Philadelphia plastic surgeon Dr. Kenneth Godwin can help. He successfully treats patients utilizing liposuction in Philadelphia, Bucks and Montgomery Counties; as well as New Jersey and New York. There are multiple techniques in liposuction that you may benefit from. Traditional liposuction and tumescent liposuction are time proven techniques that Dr. Godwin performs quite frequently. However, the world of cosmetic surgery is constantly evolving as researchers invent new technology to make liposuction more and more effective. Dr. Godwin is very pleased to offer most of these new techniques to his patients. 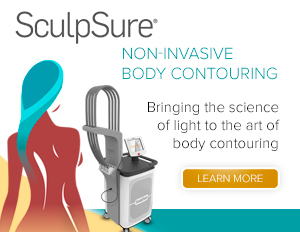 Since Dr. Godwin’s mission is to provide the best care possible and to exceed his patient’s expectations; having a full array of liposuction techniques at his disposal is key. This is how Dr. Godwin can tailor his approach and treatment plan to specifically address each patient’s individual needs. Additionally, Dr. Godwin might consider utilizing fat transfer techniques for a sculpted look; such as with a buttock augmentation or facial fat grafting. Facial fat grafting, also called fat transfer may be something to discuss with Dr. Godwin if you desire a more permanent solution to facial lines and wrinkles. Only a trained plastic surgeon can perform the extensive list of procedures available to remove fat. It is important to know your options with fat removal surgery. Together, you and Dr. Godwin, will determine if liposuction is appropriate for you. Skin elasticity is an important factor to consider, if a patient has poor skin elasticity or excess skin they might best benefit from an abdominoplasty in addition to liposuction. It is quite common for liposuction to be performed in conjunction with other surgeries. 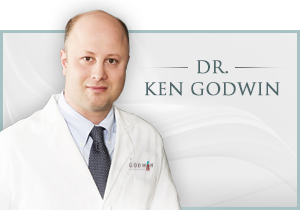 Together you will decide which procedures Dr. Godwin will perform in order to achieve your desired results. SmartLipo® is similar to tradional liposuction in that both procedures remove fat. However, SmartLipo® is laser assisted liposuction which provides the added benefit of skin tightening and reduction of cellulite. Multiple laser attachments are available to suit your specific needs and allow you to achieve the results you desire. With Dr. Godwin’s use of SmartLipo he can give you the precision not usually achievable with other means of liposuction. For example, not all forms of liposuction can treat the neck, arms, knees, and back, but with SmartLipo laser-assisted liposuction these areas can be safely treated. A ground-breaking benefit of the laser used by Dr. Godwin is skin tightening. This innovative technique results in a smoother, more contoured appearance. If you would like to learn more about Liposuction and SmartLipo® in the Philadelphia area, we invite you to meet with top Bucks County Plastic surgeon Dr. Kenneth Godwin for a private consultation at our beautiful Yardley office by calling (267)399-9930.